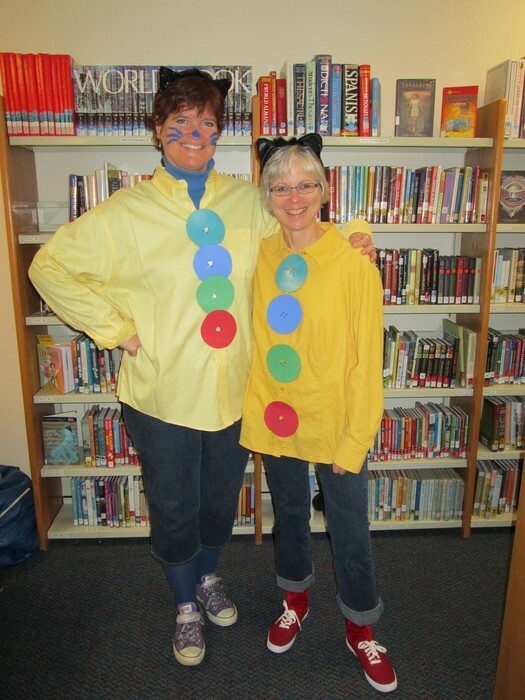 The HCS library was so excited to host children's book author, Susan E. Goodman. 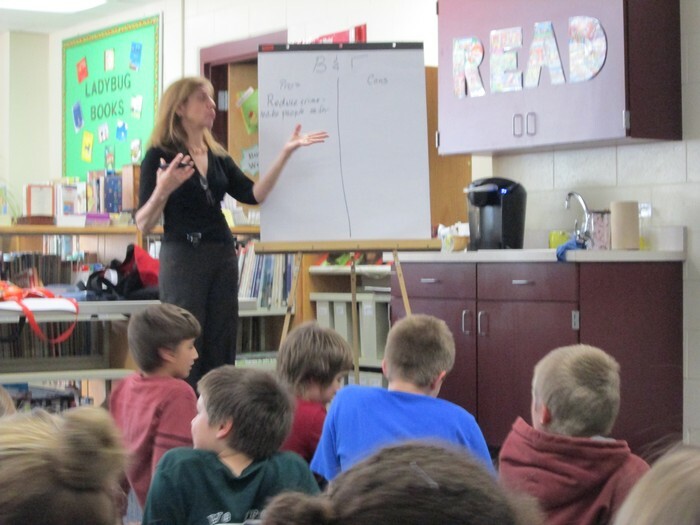 Ms. Goodman writes nonfiction books on a variety of topics. 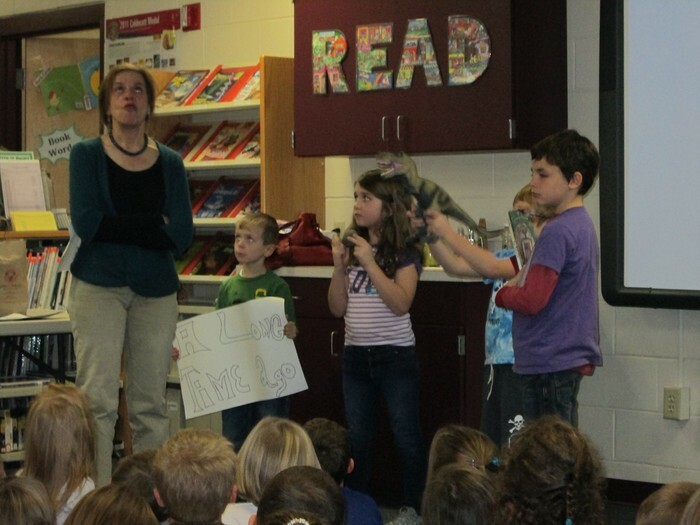 All students in Kindergarten - 8th grade had an opportunity to participate in one of her fantastic presentations. 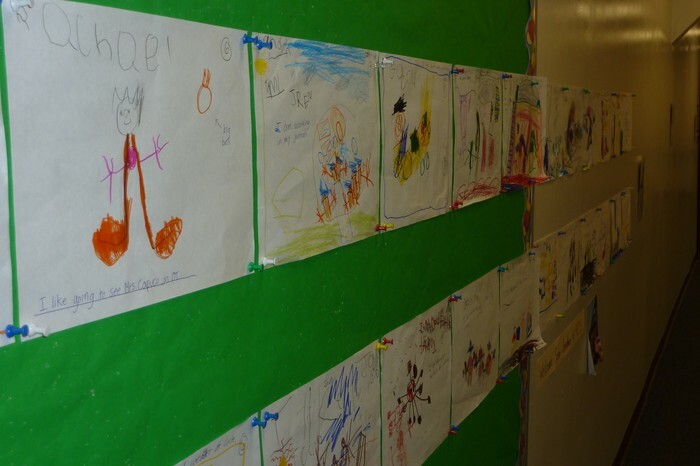 In preparation for Ms. Goodman's visit, timelines sprouted up all over the building. 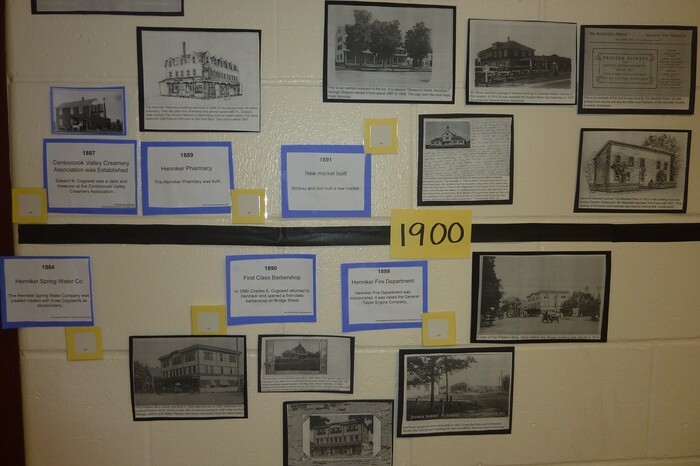 You might want to stop by the school to view the Henniker timeline located in the front hall. It is a work in progress, and we will continue to add information. To learn more about Susan Goodman and her books, visit her website. 5th and 6th graders experienced the election process with superhero candidates. They were very passionate about their choice! 7th graders researched Henniker and created a timeline. 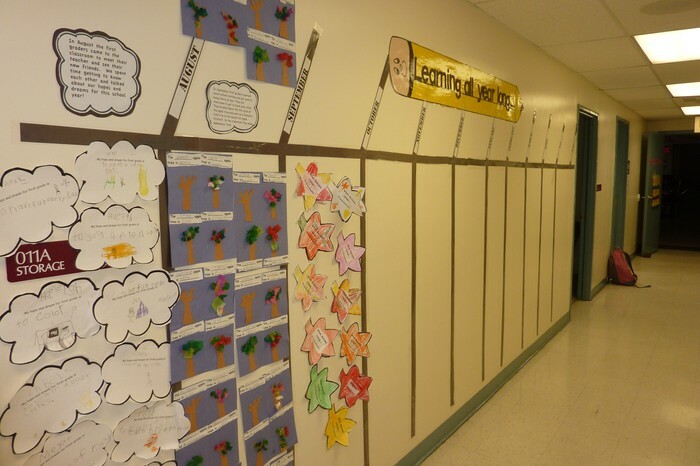 K-4 students created an interactive timeline. First Graders are creating a timeline showing something they have learned each month. 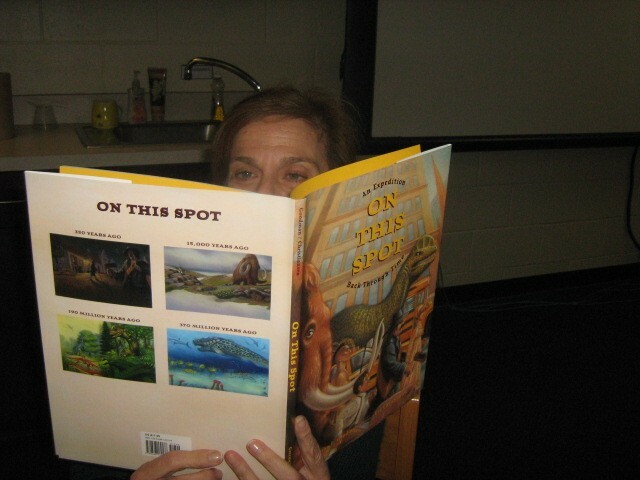 Susan Goodman reading her book, On This Spot: An Expedition Back Through Time. 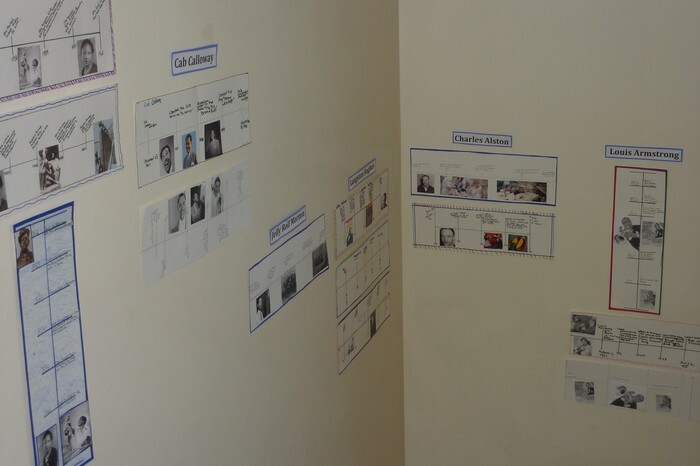 8th graders researched famous figures of the Harlem Renaissance and created individual timelines. 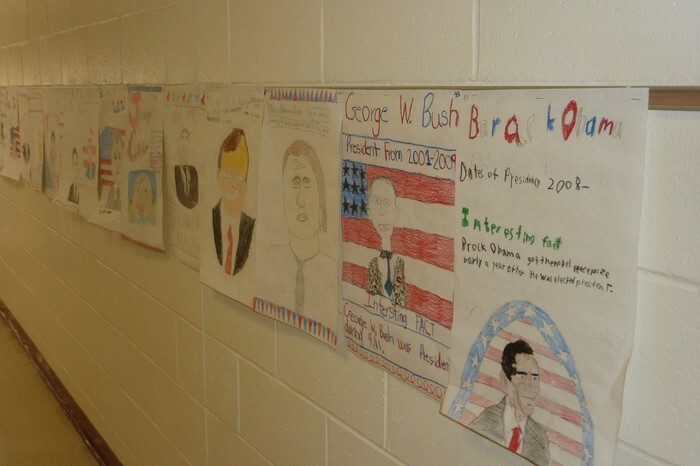 6th graders created a timeline of presidents. Kindergarteners created a timeline of their day. 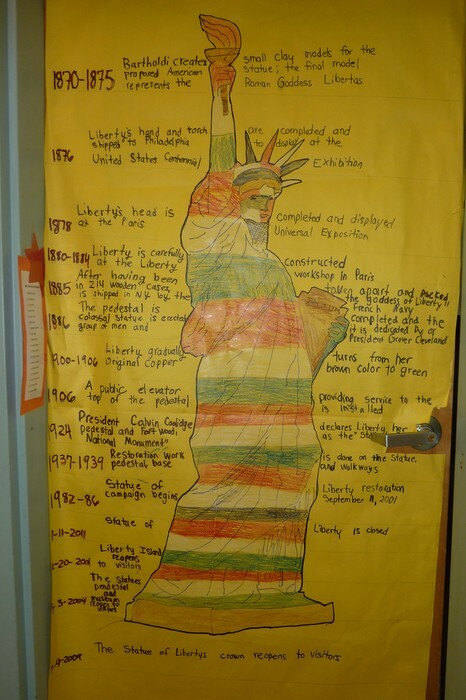 Fourth Graders created timelines of the building of the Statue of Liberty. 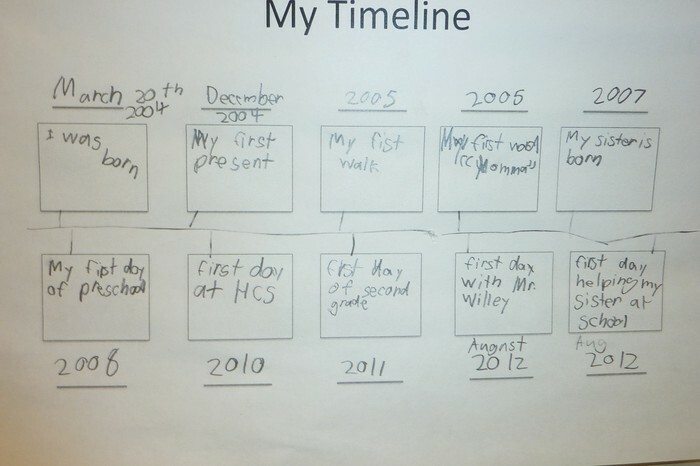 3rd graders created personal timelines. 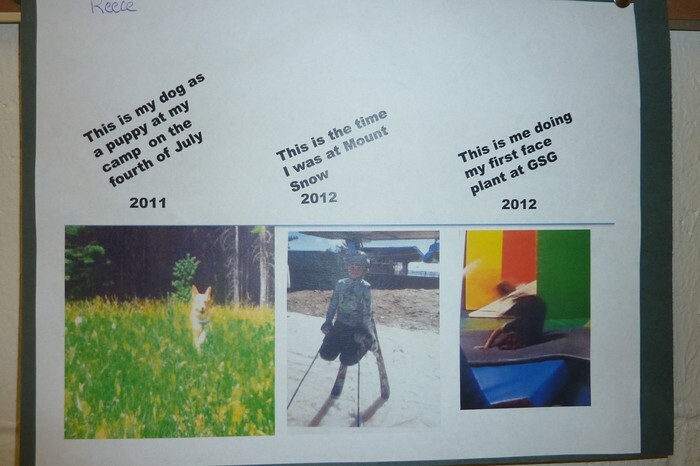 5th graders learned to create timelines on the computer. 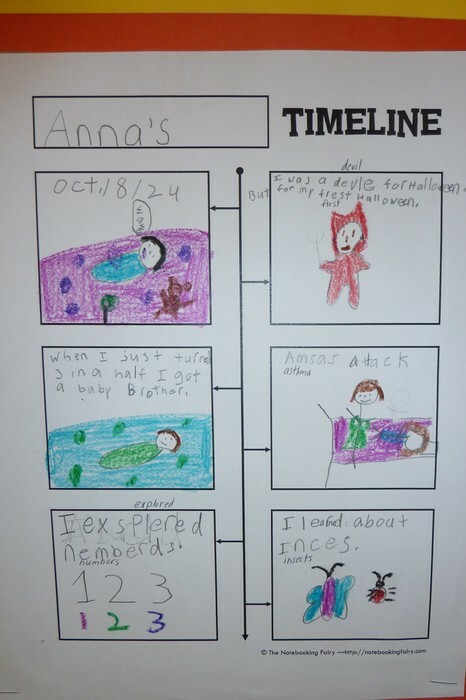 Second graders created illustrated timelines.